Situated near Brooklyn Prospect Park, the Best Western Plus Prospect Park offers luxury guestrooms. 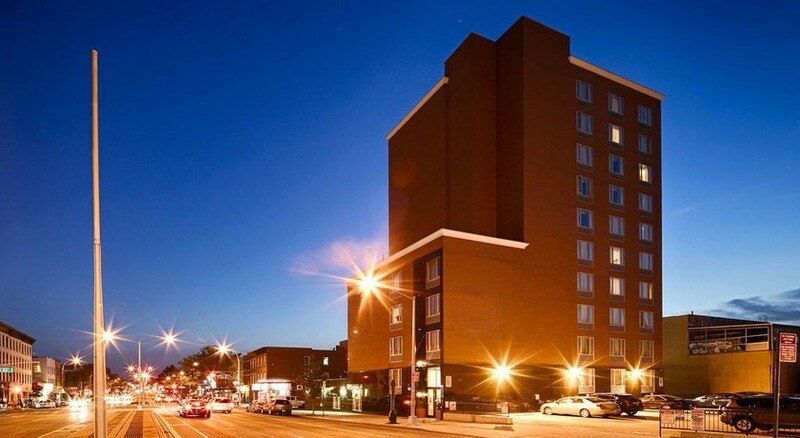 This hotel is suitable for business travellers, as it is close to numerous corporate offices. The rooms in the hotel are comfy, bright and cosy with all the necessary amenities to make your business or leisure trip very comfortable. 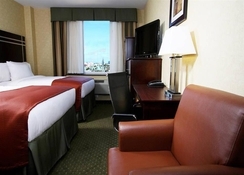 There are numerous attractions near the hotel that will make your stay in this hotel exciting. The staff members in the hotel are welcoming, friendly and professional, which sets this hotel apart from others. Those who want to maintain their fitness level can take advantage of the in-house fitness centre with expert trainers. 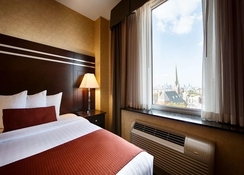 Best Western Plus Prospect Park is located in Brooklyn. It is within close proximity to many corporate offices, making the hotel the best place to stay for business travellers. The Statue of Liberty is about 7km, while the Brooklyn Bridge is only 5km from the hotel. The Newark Airport is about 27km, JFK International Airport is about 35km, LaGuardia Airport is about 22km from the hotel. Comfortable, vintage and relaxing are some of the words used to describe the guestrooms at the Best Western Plus Prospect Park. The rooms are categorised as Double Bed, Queen Bed, King Bed and Two Double Beds. These rooms are perfect for all kinds of travellers, like couples, family and solo or business travellers. They have all the necessary amenities, including flat screen TV, bathroom with bathrobes and rainfall shower head, mini bar, refrigerator, iron, ironing board, laptop compatible safe, air conditioning and daily housekeeping. The hotel has hired friendly and professional staff members who will take care of even the littlest requirements of the guests. There are numerous restaurants and bars around the hotel to satisfy dining and drinking needs of the hotel’s guests. Some of the restaurants and bars near the hotel include Taksim Square 2, Cuarta (Spanish Cuisine) and Dunkin Donuts. Guests can take advantage of the in-room dining service offered by the hotel. There are ample sport, fitness and entertainment facilities in and around the hotel. Those who want to stay in shape while travelling can hit the state of the art fitness centre with the latest in cardio equipment. In addition, there are numerous theatres and sports clubs close to the hotel. The hotel also offers car hire service, so that the guests can discover the city at their own pace.